As artificial intelligence technology advances at an accelerated rate, Qualcomm's Kathy Herring Hayashi says the semiconductor industry's work in data analytics and AI at the start of her career remains relevant today. "Rather than the beginning of an AI revolution, this could be conceived as a continuation from earlier ideas," says Hayashi in regard to how new advancements in AI technology are bringing earlier ideas around data structures and analytics to fruition. Hayashi has witnessed first-hand the evolution of AI and has worked in semiconductor software for 35 years, delving into the field not only in her job but also by participating as a senior member at the Institute of Electrical and Electronics Engineers Inc. (IEEE) and as a computer science instructor. Hayashi wears multiple hats as senior technical lead, Qualcomm Inc. (Nasdaq: QCOM); founder and former chair of IEEE San Diego Women in Engineering (WIE) Affinity Group; 2017 IEEE Section 6 (Western U.S. Region) Women in Engineering Coordinator; and as a computer science (CS) instructor in the Computer Science and Information Technology Department at Palomar College in San Marcos, Calif. In addition to working for larger suppliers like Qualcomm, Hayashi has also worked at startups and held a position as the director of professional services and support for Syntricity, a San Diego-based semiconductor startup. Hayashi also promotes STEM awareness and educational opportunities for young women as a member of the board of directors for Expanding Your Horizons, and serves as a member of the San Diego Athena Forum for Executive Women. In this Mentor Monday, Hayashi addresses advancements in AI and its impact on job opportunities, how women in communications can both identify and become mentors, and offers her advice for young women considering a career in STEM. Read on for more. Women in Comms: Tell us a little about yourself and your roles at IEEE, Qualcomm and Palomar College. 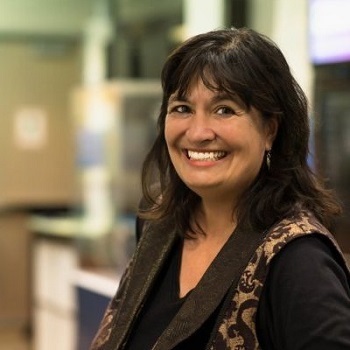 Kathy Herring Hayashi: Since graduating from college with a computer science degree, I have worked on developing and supporting engineering software that is used in the design of semiconductor chips to be used in computers, smartphones and other connected devices. Over the span of my career, I have worked in startups, in software consulting roles, research and development for custom-design software, and for both small and large companies. At IEEE, a non-profit and the world's largest association of technical professionals, I am currently the Region 6 Women in Engineering (WIE) coordinator. Our goal is to inspire, engage and advance women in technical disciplines globally. We envision a vibrant community of IEEE women and men collectively using their diverse talents to innovate for the benefit of humanity. Within IEEE, I have supported GlobeCom WIE Panels on Global Innovation, a San Diego Full Day WIE Technology Summit, formed the WIE affinity group in San Diego and brought the first IEEE Milestone to San Diego in support of mobile innovation related to CDMA. I am also the current vice chair of the WIE International Leadership Conference that will be held in May 2018. At Qualcomm, I work on analyzing and optimizing semiconductor workflows in large-scale compute environments. Using advanced data analytic techniques, we optimized engineering workflows for functional and compute efficiency. We are also looking to use those same techniques on engineering designs in new, advanced engineering compute environments. At Palomar college, I teach first year programming languages and computer systems. My goal in teaching early CS students is not only to provide visibility for senior women in tech, but also demonstrate my passion for technology and inspire the next generation to pursue tech careers. My greatest reward in teaching is when students ask about the next steps to move their career forward, and whether to take another CS class or to get certificates or degrees in technology fields. 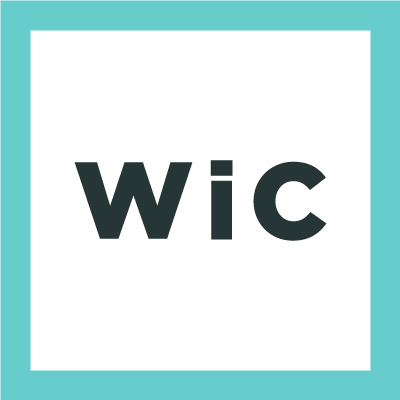 WiC: How has the industry's approach to AI changed over the course of your career? How do you address concerns that AI will reduce job opportunities? KH: When I first started in the industry at Unisys Corporation, we used AI techniques within our custom semiconductor software. We had explored and attended conferences on AI and neural nets, but determined that we would need advanced hardware and an extensive amount of subject matter expert data to continue with the project. It's only now that this type of project is taking off, thanks to the advances in technology leading to extremely fast compute, GPUs, lower storage costs and more data than we have time to analyze. Now there is significant support from universities, corporations and non-profits, providing training, software and special interest groups to support advanced data analytics that enable these types of projects to move forward. While I was attending a recent technical section at the local university, they had a call out for all CS majors to utilize AI in semiconductor code. Since I was curious as to the changes in data analytics, I recently enrolled in an online course only to find that the data structures, analytics and matrix manipulations that we did in the past were all still relevant. Rather than the beginning of an AI revolution, this could be conceived as a continuation of earlier ideas. If projects were not a priority in the past, the visions and work can be revisited and serve as the basis for the present developments. Regarding job reductions related to AI, the previous innovations led to greater design complexity but still required engineers to deal with the designs at increasing scale. However, in the larger scope, organizations such as IEEE have started various global initiatives for Ethical Considerations in AI and Autonomous systems which will hopefully address some of the serious concerns with the broader adoption of AI methodologies.